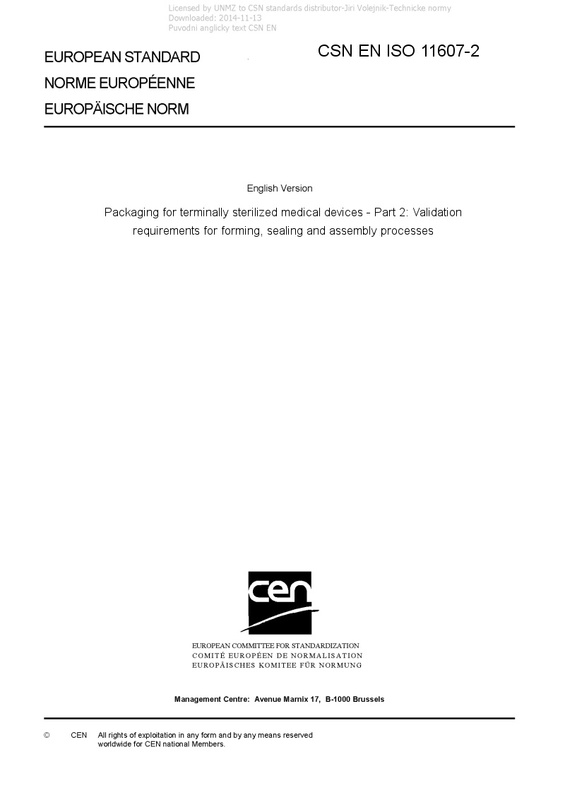 EN ISO 11607-2 Packaging for terminally sterilized medical devices - Part 2: Validation requirements for forming, sealing and assembly processes - ISO 11607-2:2006 specifies the requirements for development and validation of processes for packaging medical devices that are terminally sterilized. These processes include forming, sealing, and assembly of preformed sterile barrier systems, sterile barrier systems and packaging systems. ISO 11607-2:2006 is applicable to industry, to health care facilities, and wherever medical devices are packaged and sterilized. ISO 11607-2:2006 does not cover all requirements for packaging medical devices that are manufactured aseptically. Additional requirements may also be necessary for drug/device combinations.